Please note: This is the new one from Magicshine with the circular connection. 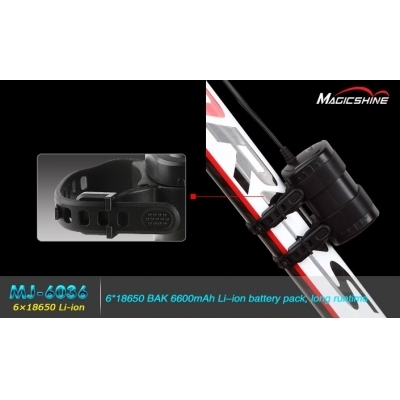 The battery pack includes 6X18650 Li-ion batteries forming 6600mAh. With an impressive run time of 2.3 hours on maximum output when using with the MJ-880. The battery has a hard casing around making it water resistant and there is clearly no need for a battery bag. The MJ-6036 battery is mounted to the bike by 2 adjustable, durable rubber straps that make it perfect for any sized frame. 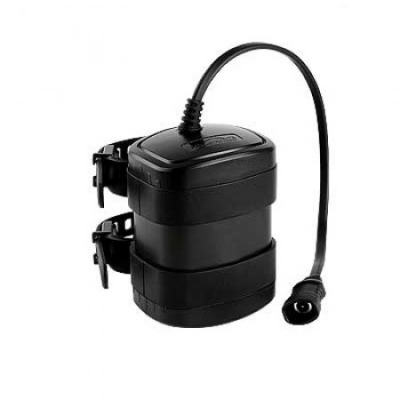 4th generation battery with new waterproof compartment design.